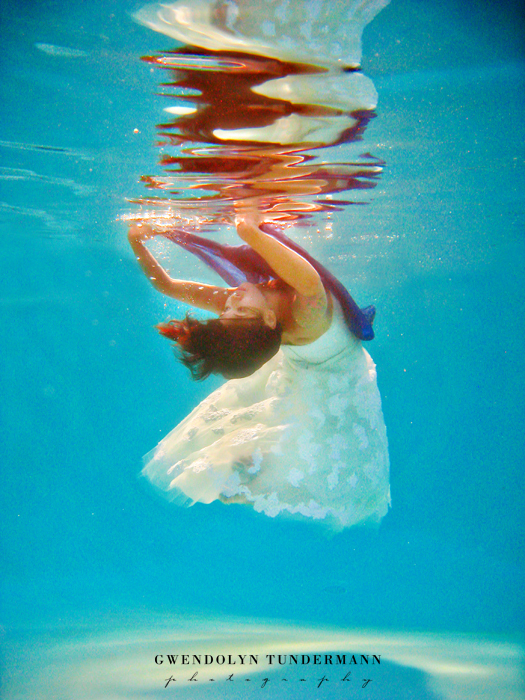 Underwater photography is quite challenging. One of the challenges is getting your settings for the shoot, because when you use underwater house it is difficult to change your settings. I have this issue with the underwater housing for our Sony point and shoot (which I didn’t get to use this time because my battery died!). This is where a special underwater camera may have an advantage. Also, lighting is just as important underwater as it is on land, perhaps even more so because you have all that water that acts as a thick filter and reduces the clarity of your shot. And just as on land, lighting can create interest within the shot. In the first shot there is only ambient light, but in the later shots light is being bounced off a big reflector. I have some ideas for lighting techniques I’d like to try for an underwater shoot sometime! I was so surprised to find that the biggest challenge was staying underwater! And I don’t mean just holding your breath (though that is another challenge in itself). I mean literally staying physically under the water! I kept floating to the top and all over the place! 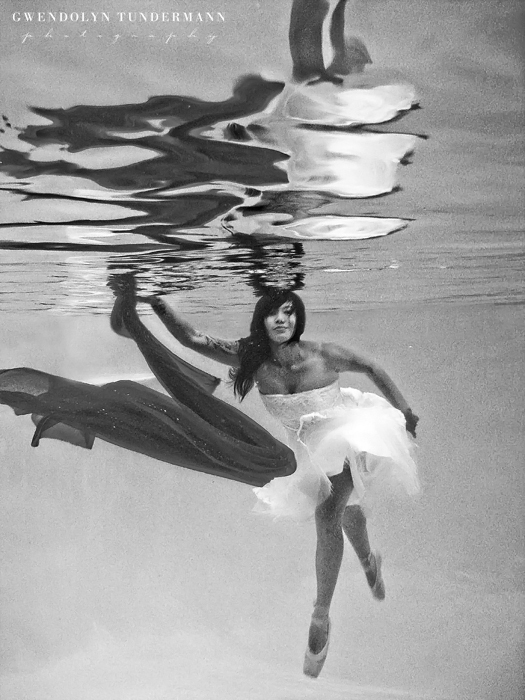 But I enjoy a challenge and I had so much fun shooting underwater! Hopefully I’ll find more opportunities to do shoots like this! 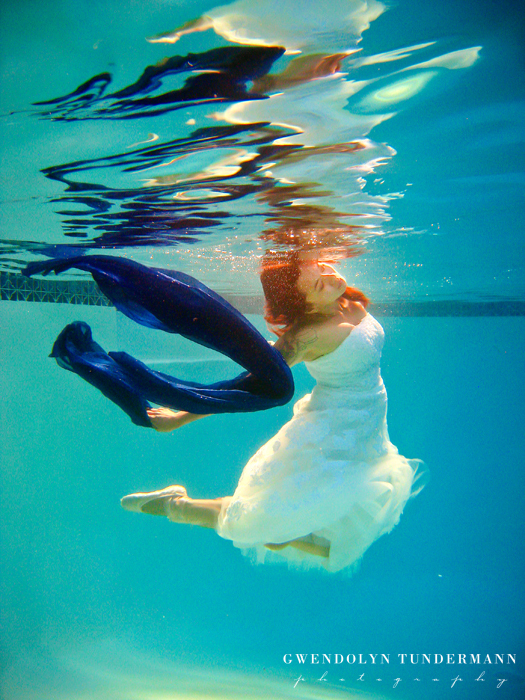 Last week, I took part in an underwater photography class, and it was the most fun and challenging photography shoot I’ve ever done! You’d think that the hardest part about shooting underwater would be getting the settings right, or maybe even being able to hold your breath, but I found the biggest challenge to be staying under water! Once I went under my body immediately wanted to come back up, so I had to find ways to push myself down and stay down. I even tried crossing my legs “Indian style” and sinking the bottom. 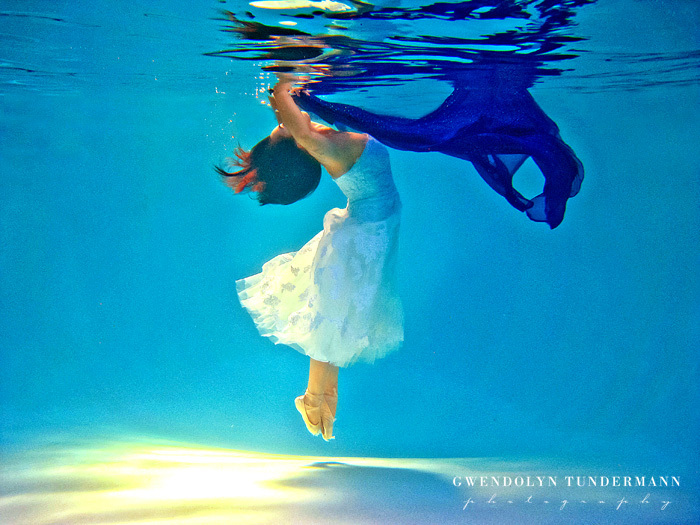 I could only stay under for a few seconds at a time, and trying to time that with the model going under the water and framing the shot was almost impossible. Normally that would be frustrating, but honestly I can’t wait to do it again! 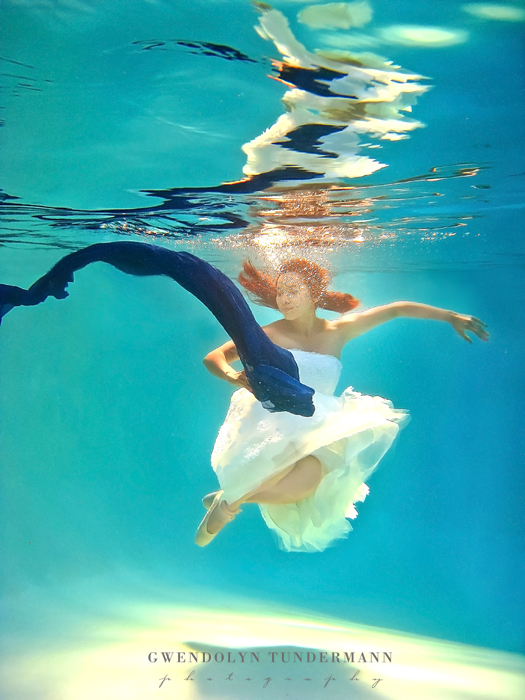 Thanks so much to Erika Thornes, Carrie Mundy, and Brett Lind for organizing this shoot, and to our incredible models/mermaids for being such beautiful subjects to photograph! Erika and Carrie also let us shoot on their cameras (which was already set), so I can only take partial credit for my shots. Thank you soooo much for sharing your gear and for sending out the shots! 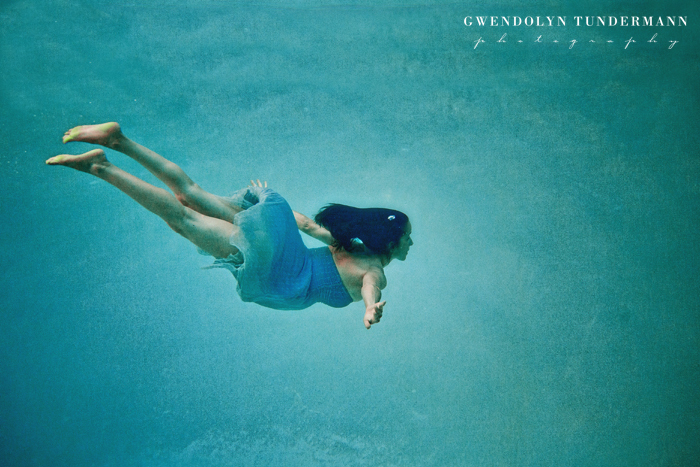 Ah… I think I am in love with underwater photography! It’s a whole new world of possibilities!